$150 Gift Card to Residence Inn + $50 Amazon Gift Card Travel Talk with Cat Cora Giveaway! Holiday traveling can be pretty stressful when you have a family. There’s so much to do to prepare and can be so stressful for all involved. Thankfully, I have stayed in the Residence Inn multiple times and they know how to make you feel at home throughout your stay! Talk about relieving the stress & being able to enjoy your holiday! Whether you’ve built your bucket lists of places to travel or getting ready to head out the door–destination unknown, having a source to find answers to questions you most want to know makes travel a little lighter. The Residence Inn Family Travel Talk Forum is the perfect group to ask those questions. It’s experts–fellow travelers that have ‘been there; done that!” First hand information without the hassle of weeding through Google Search results, reading write ups and departing with more questions that answers. It’s the connection that will help you take up “Residence Inn” a new group that will have you talking travel, family and meals! Nothing could be better than a forum that is helpful. Love all things food, fun and travel? Join me at 9pm on December 11, 2013 at 9pm EST for a one-hour Facebook chat, “A Recipe for Successful Holiday Family Travel, with Cat Cora. Cat will answer your questions and give tips related to family travel, holiday cooking and New Year’s travel resolutions. If you are like me, foodie or not, you probably are star struck right about now. Fans have the opportunity to email your questions ahead of the chat (ResidenceInn@ldpr.com ) for the chance to have Cat Cora answer the question during the live chat! Imagine getting to chat with a celebrity about travel, and holiday cooking! Now add to the mix that the Residence Inn locations all have kitchens in their rooms which help every traveling person, couple or family as you struggle to please everyone in your crew. I love to travel. It’s always an adventure and thankfully my kids love to go on adventures too! One day I hope to be able to travel cross country! Believe it or not, I have only been on a very short trip to Texas and I would love to be able to see the West Coast! 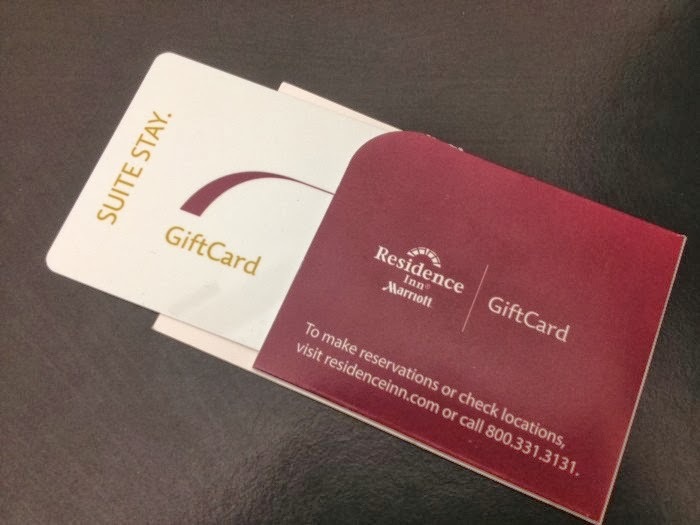 Now as an added incentive, Residence Inn is generously offering one of our lucky readers a $150 gift card good towards their stay at a Residence Inn. It’s good nationwide, even if you want to use it in the town you live in for some rest and relaxation. Join in on the conversation on December 11, 2013 at 9 pm EST and let them know Mommy’s Memorandum sent you! It’s that easy. Chances of winning are dependent on how many fans from Mommy’s Memorandum attend the live chat. Winner will be drawn at random. Don’t for get to join the The Residence Inn Family Talk Forum and email any questions you might want to ask Celebrity Chef Cat Cora and lifestyle entrepreneur Cat Cora to answer to this email address: ResidenceInn@ldpr.com! Don’t forget the discussion is Dec 11 2013 at 9PM EST, and tell them Mommy’s Memorandum Sent You – they love knowing where their participants heard about them. While you are waiting to join the fun with Cat Cora, The Residence Inn has offered a Giveaway! Please note, falsification of entries will result in your entry being voided. Each time you enter a question it must be a NEW and Original question. Rafflecopter entries to be qualified close at 11:59P on December 10, 2013 so make sure you rsvp’d and entered rafflecopter. We will be going to Florida! I should add: the kids and I stayed at the Marriott in Copley Square, Boston, August 2012 and had the most amazing time. Love Boston anyway, but the hotel really made the stay amazingly memorable. My youngest still talks about going back to the hotel. To my husband’s mom’s house. If the weather holds up we’ll spend a few days in Chicago. We are visiting family in Fredericksburg, Virginia. Ours will be a staycation, as both mine and my husband’s family live in the same town that we do! I wish we could afford a trip to LA to go spend the holidays with relatives. Unfortunately we cannot go due to $$ and the weather. But that’s something we might do in the future. My question is… How do we handle the first trip with a 19 months old toddler that’s so curious, love running around and sometimes its a picky eater due to teething?. Also, do they have cozy blankets and non smoking rooms way too far from the smoking ones? I have asthma problems and can’t stand cigarettes smoke. We aren’t travelling this holiday season! Would love to do a staycation. Just to the parents and inlaws about 2 hours away but it will be so nice to be with extended family that we haven’t seen in a long, long time. We’re heading to Florida for Christmas! Woohooo!